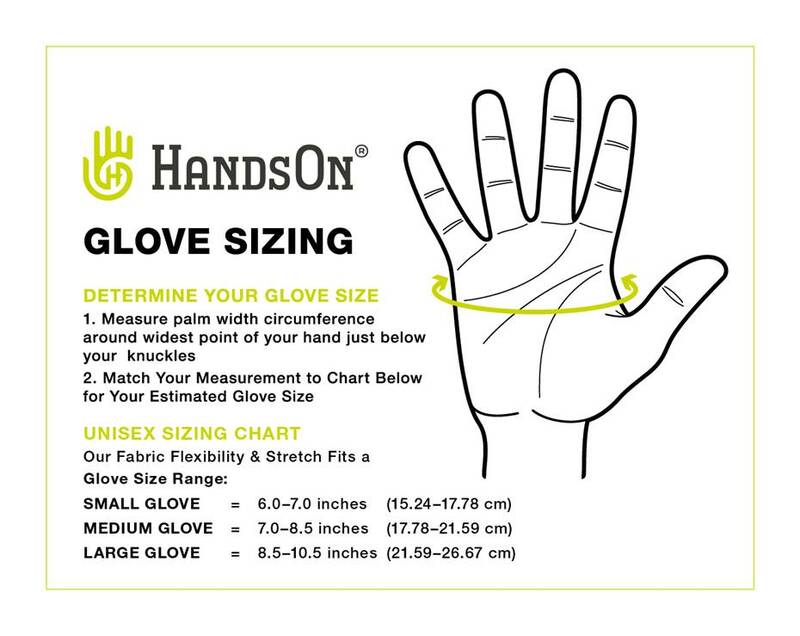 HandsOn Gloves – Revolutionary Grooming/Bathing Gloves. Use Wet or Dry. For Dogs and Horses. 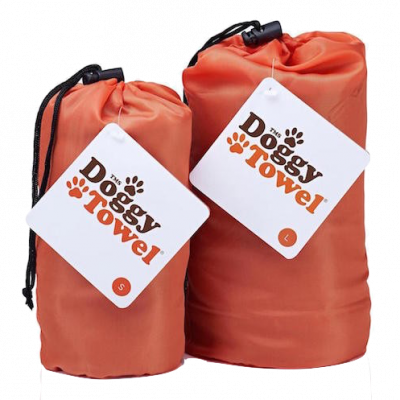 The flexibility of the gloves also allows you to handle lead ropes, leashes, shampoo bottles, or anything else you need while grooming or bathing without removing your gloves. Try that with the traditional mitt or curry comb. HandsOn Gloves also assist extremely well in cleaning your horse’s hooves. The nodules on the gloves help knock mud and/or dry clumped dirt off the outside and underside of the hoof. 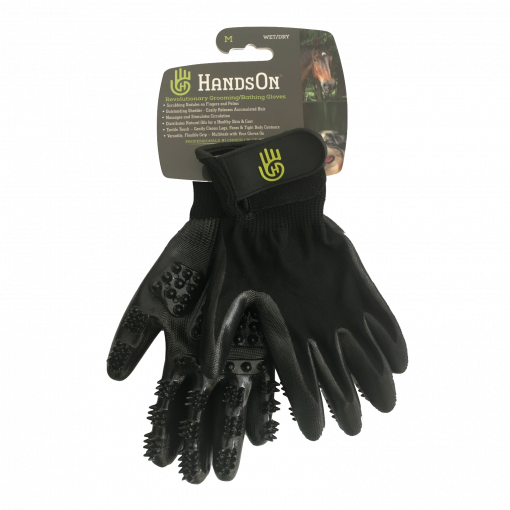 The gloves flexibility also allows you to handle a hoof-pick without taking a glove off. Plus, your hands and fingernails stay clean. The gross factor: Does your horse or show cow ever show up out of nowhere with manure stains all over them? 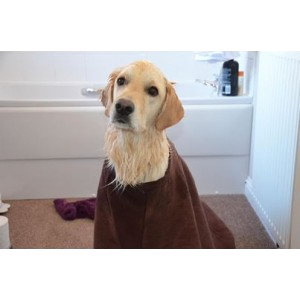 Do your dogs like rolling in fresh manure or anything worse? Does your cat even know what he got into? Ours do and they love it! Having your gloves on while cleaning up these fun times is more bearable for the human and leaves you and your animals much cleaner. The HandsOn Glove, a revolution in grooming and bathing.